Today is the day that camera crews focus their lenses on three rodents. Folks who suffer back aches while shovelling & stamp their feet to bring circulation to their toes while waiting for a bus that has long since given up keeping a regular schedule – are willing, in mid-winter, to believe in just about any groundhog that promises to end their sufferings of bleak weather forecasts warning of wind-chills of minus a zillion. Today, Nova Scotia’s Shubenacadie Sam saw his shadow and gave the thumbs down for an early Spring. So too did Punxsutawney Phil from Pennsylvania. I believe in the prognostications of a groundhog like I do in CBC having a sack of bills sent to the Broadcast Centre from the government. But as I look out my window this morning, and see nary a green blade of grass in sight, I’m willing to suspend disbelieve and put a bit of faith in Wiarton Willie, Ontario’s seer who bucked the trend this am and promised that my days of kayaking are just around the corner. As I wait for a plow to come down the street my thoughts are turning to the day itself. What makes Feb 2 so special? This day was sacred to the Ancient Romans and Greeks. It’s celebrated by Christians as ‘Candlemas’, ‘The Purification of the Virgin Mary‘ and the ‘Presentation of Christ in the Temple‘. For early Celts they honoured St. Brigit. Wiccans celebrate ‘The Feast of Imbolg’ and secular types – Groundhog Day. These celebrations are all related. They have to do with flames, purification and Spring. What better music to start this blog than Stravinsky‘s ‘Rite of Spring’. Persephone was the daughter of Zeus and Demeter. One day while gathering flowers, Hades was awestruck by her charms. He convinced this brother Zeus for permission to carry off his daughter – in a sense to abduct and have his way with her. Hades rose up from a dark hole in the earth and carried her off by a chariot pulled by 4 horses. Persephone’s cries for help went unnoticed. Zeus didn’t tell his wife Demeter what he had done and she searched in vain for her lovely daughter. The Sun God moved by Demeter’s sadness, filled her in. Demeter begged the Gods on the mountain top Olympus to return her daughter. They agreed on the condition that Persephone could return to earth if she had fasted while in Hades. Ahh but she had had a nibble. She ate half a pomegranate which Hades had given to her as an expression of his love and devotion. Hades & Persephone reached a compromise. She was to spend half to one-third of a year with him in the Underworld and the rest of the year on Olympus among the gods. Persephone was queen of the underworld and death, and queen of the heavens. The heavens produce warmth and rain for the crops. As a divine personification of vegetation – in summer she appeared beside her mother in the light of the sun’s rays, but in the autumn – disappeared like seed under the earth. It was no stretch for the Ancient Greeks to see her both as a symbol of death and of hope because out of death springs new life. The name Persephone means ‘she who shines in the dark’ – and suggests that seeds don’t actually die but continue to live in the underworld, even though we can’t seen them from above. Among Ancient Celts, Feb 2 marked the feast of Imbolg. This feast was a bookend to the festival of Lammas in the old sacred calendar. Imbolc means ‘in the belly or womb’, in the womb of the great mother. Feb 2 inspired feelings of hope that the days were lengthening and that spring was just around the corner. From the earliest times Imbolg was associated with Brigit the Fire Goddess – the Goddess of the Celtic Empire. Worshippers lit a welcoming fire to show Brigit the Great Mother back home. Brigit had a female priesthood and they kept the sacred fire burning. 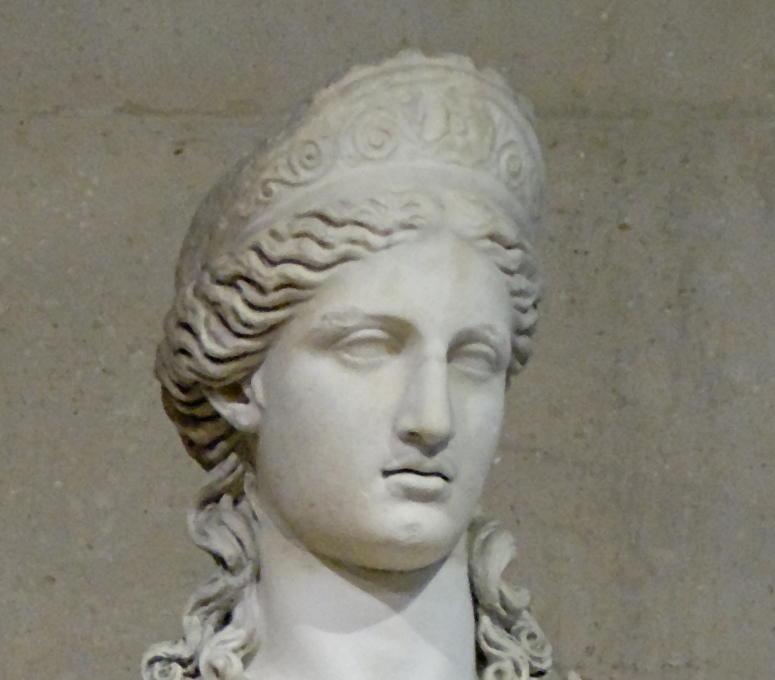 She was said to be the same deity as the Roman Goddess Juno Regina, Queen of Heaven. Their cults didn’t die with the spread of Christianity. The attributes of Goddess Brigit were transferred to St. Brigid of Kildare – the Patroness of sheep and fertility. Brigid was born to a Druid family. She decided to become a nun and established a convent which became famous for its ‘fertility magic’. Legend has it that cows never went dry in those parts. Flowers and shamrocks sprang from her footsteps. 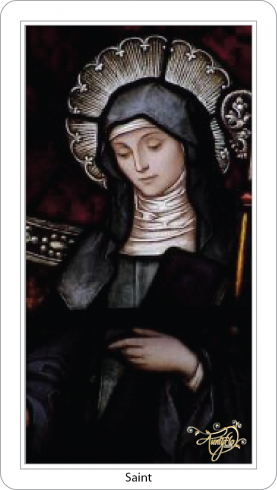 The Roman Catholic church made her a Saint and called her Brigit or Bride. Her feast day was the first day of spring according to the old pagan calendar – the first of February. Feb 2nd is now celebrated by 3 things in the church year: 1) The Purification of the Virgin Mary (which falls 40 days after Christmas. According to Jewish customs, women must be purified after childbirth – 40 days for a son – 80 days for a daughter.) 2) The meeting of the Christ Child in the Temple with Simeon. The ‘Nunc dimittis’ is sung to a procession withlighted candles. 3) The blessing of Candles called Candlemas. Claudio Monteverdi wrote a wonderful tune called ‘O Beatae Viae’. It was the first piece that I played and conducted for women’s choir. I was 17 and a student at Mount Allison University. Monteverdi beautifully sets to music images of Candelmas. As I finish this blog, it has stopped snowing The sun is shinning. Maybe the rodent from Wiarton is blessed with divining powers. Maybe, just maybe spring is around the corner!